COMIC CON 2019- PORTSMOUTH GUILDHALL! 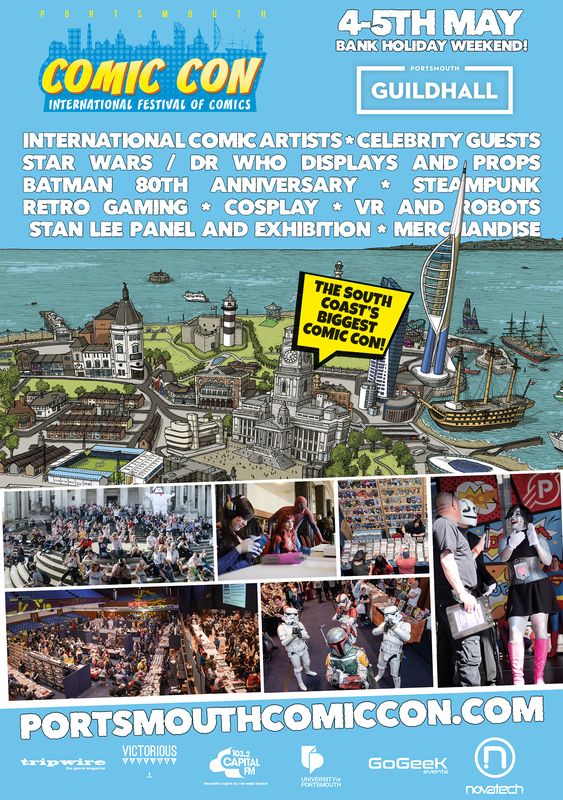 Portsmouth Comic Con returns on the 4th and 5th May (Bank Holiday weekend) to bring you the best of comic, film, TV and pop culture entertainment, welcoming some of the greatest artists in the industry alongside stars of the screen and the world of cosplay! Go behind the science of comics through a range of panels, exhibitions and displays and pay homage to the legend that is Stan Lee. Immerse yourself in VR, motion capture, robots, retro and board gaming, Steampunk and explore a fantastic range of merch and collectables.